The Certified Angus Beef ® brand (CAB®) begins with Angus genetics. The first step toward brand acceptance is using registered Angus bulls. As genetics vary across the breed, it’s important to consider traits relevant at the ranch, feedyard and packinghouse. Using expected progeny differences (EPDs), you can select sires to complement your maternal goals without sacrificing improvement of carcass potential of your feeder cattle. With nearly 80% of cattle grading Choice or Prime, the market continues to demand cattle with the genetic ability to gain and grade at increasingly higher levels while heifer mates perform on the ranch. For more accurate selection in all traits, let carcass data from your calves establish a baseline. Such data can identify areas of strength and weakness, pointing out needs for genetic selection. Recommendations for marbling are absolute minimums. If carcass merit has been a focus of genetic selection within your cow herd for several generations, you can continue a trend towards quality by starting with these EPD recommendations. If carcass quality has been a lower priority in the genetic selection of your cowherd up to this point, it is recommended that you choose sires from an even higher percentile than our baseline EPD recommendations. Select for higher marbling in sires whenever other important traits can also be obtained. When choosing sires that are right for your herd, it is important to consider marketing goals in addition to economically relevant traits. 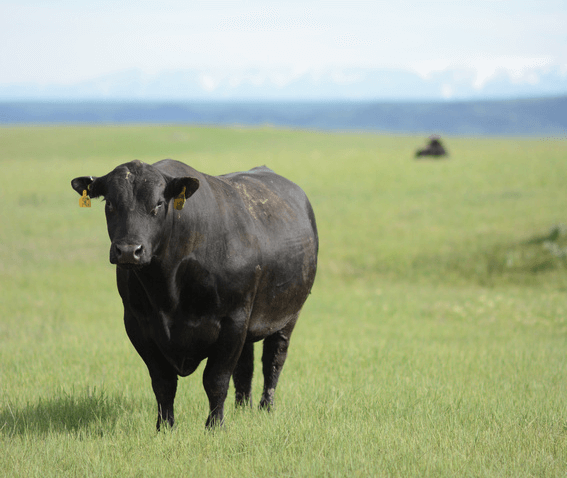 Using EPDs, you can select bulls that complement your maternal goals without sacrificing the ability to improve carcass merit of calves that leave the ranch. In fact, improvement can be made in all of these areas at the same time. When selecting a sire for use on virgin heifers, include a focus selection calving ease. Difficult births stress both dam and calf, and may reduce the amount and timeliness of nursing. Heifers experiencing calving difficulty return to estrus later, which can reduce reproductive rates in a controlled breeding season. Calving ease is largely determined by birth weight, and can be accurately managed using Birth Weight (BW) and Calving Ease Direct (CED) EPDs. 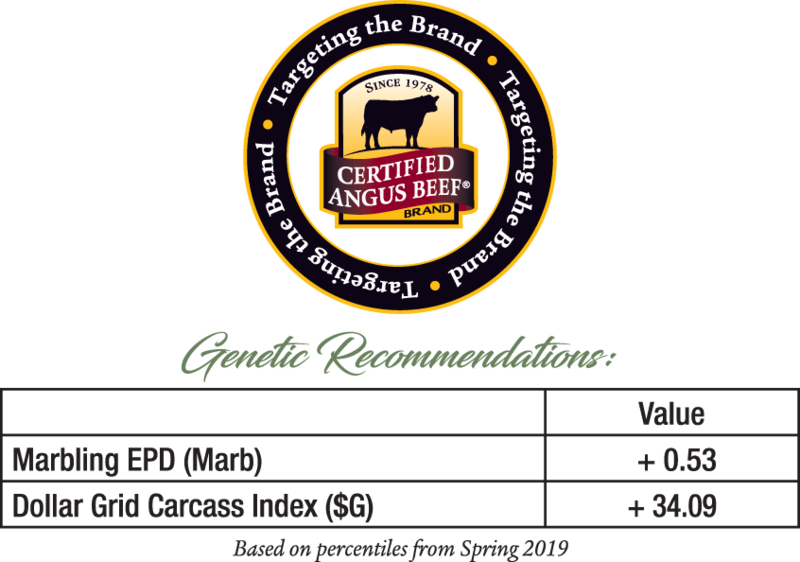 Targeting the Brand™ recommendations are breed average or better for marbling EPD and $ Grid of non-parent Angus sires. Actual EPD minimums, below, are based on breed averages from the Fall 2018 Angus Sire Summary. 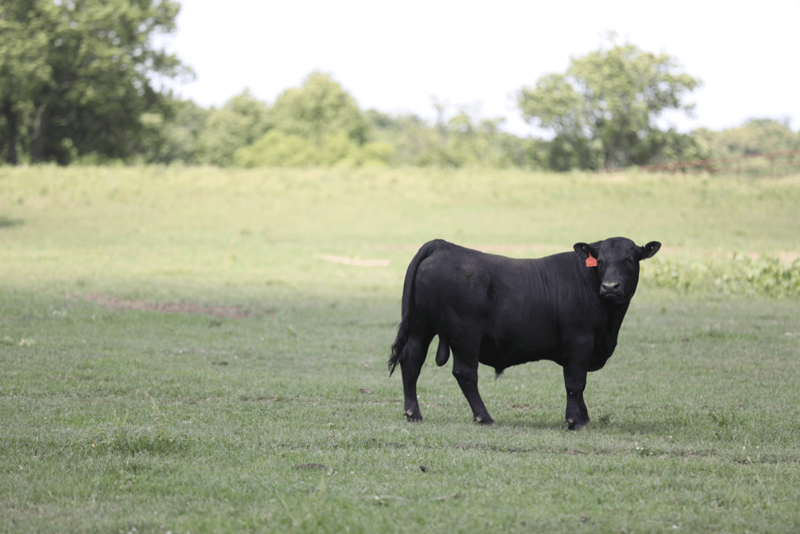 The trait most related to achieving the CAB target is marbling, reported by the American Angus Association as “Marb” for the expected progeny difference (EPD) that predicts genetic potential for marbling. CAB requires Modest or greater degrees of marbling (“Upper 2/3 Choice” or “Premium Choice”). 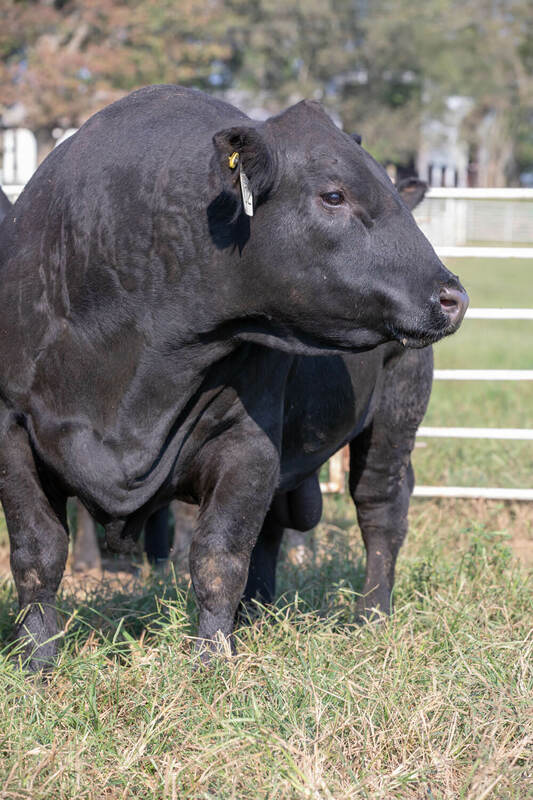 Research at the Meat Animal Research Center (MARC) has proven over the years that the Angus breed is superior in marbling to all other mainstream beef breeds. However, a lack of marbling is the top reason Angus-identified cattle do not meet CAB specifications. In 2016, 92.6% of the identified cattle that failed to earn the CAB premium did so because of inadequate marbling. 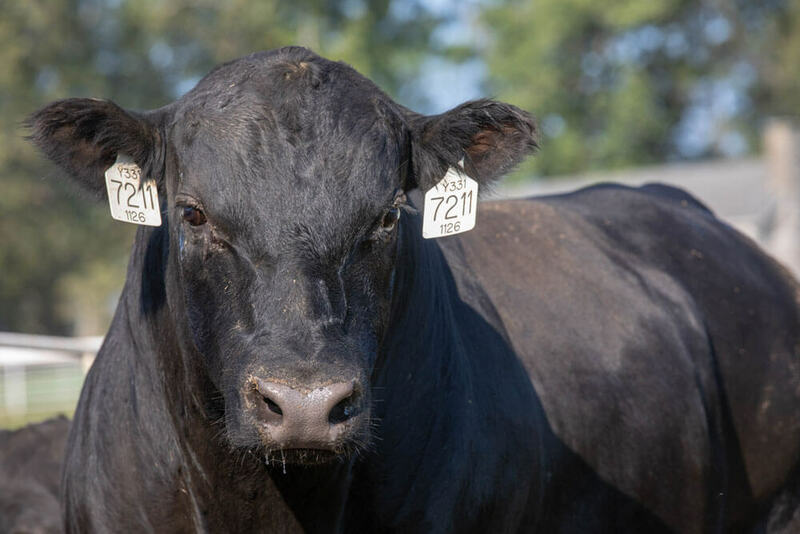 The American Angus Association has developed index tools called $ Values that combine various trait EPDs and economics for ease of selection. Realizing that carcass weight, ribeye area, and fat thickness also affect CAB acceptance, $ Grid ($G) combines Marb and other traits that influence CAB acceptance rates. Its value is calculated using a three-year average of grid premiums and discounts. Since marbling is the most limiting factor in CAB acceptance, always consider both Marb and $G to ensure continual progress toward brand certification. The amount of marbling needed when selecting a herd sire depends on the cow herd he will service. 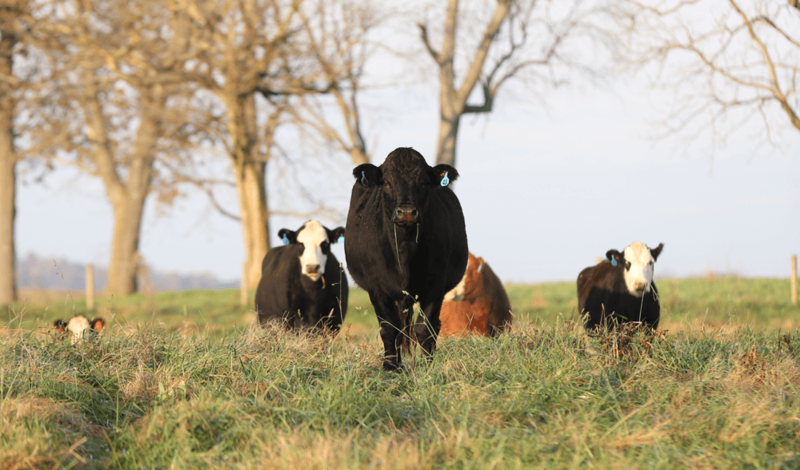 If carcass merit has been a focus of genetic selection within your herd for several generations, you can continue a trend toward quality by starting with the Targeting the Brand™ requirements. However, if carcass quality has been a lower priority for selection up to this point, it is recommended you choose sires from a higher percentile than the baseline required for the Targeting the Brand standards. If your cow herd is of Continental or highly crossbred genetics, or if your Angus cows are not sired by bulls meeting Targeting the Brand™ recommendations, you should consider a higher target for Marb and $G to make more dramatic progress. If the herd is Angus-based and known to produce calves that grade well, then Targeting the Brand™ recommendation minimums may be sufficient. When purchasing herd sires, consider those that have been DNA tested and have genomic-enhanced EPDs because they will have greater accuracies. Like carcass traits, disposition is a moderate to highly heritable trait. That’s good news because nervous and aggressive cattle are a pain in the wallet. Data collected on more than 68,000 cattle from 24 Iowa feedyards, shows that cattle that were considered docile graded Premium Choice and Prime at more than double the rate of their nervous to very aggressive contemporaries. Considering all costs, docile calves netted more than $57 above their aggressive counterparts. The research shows that docility in the feedyard pays off with better performance, improved carcass merit and reduced morbidity and treatment costs. The docility EPD is presented as a percentage, where a higher value is considered more favorable in terms of docile temperament. Since this is a threshold trait, herds that exhibit no problems in temperament will realize no improvement in selecting for above-average docility EPDs. Docility EPDs (DOC) can be used as part of a complete selection program in the event that a breeder needs to make improvement in a herd’s cattle temperament. In this example, a 10-percentage-point difference exists between the EPDs for Bull A and Bull B. On the average, assuming the two bulls were mated to comparable females, one would expect 10 more calves out of 100 sired by Bull A to have a temperament in the most docile score (score = 1) compared with calves sired by Bull B. In herds where temperament problems are not an issue, this expected difference would not be realized.